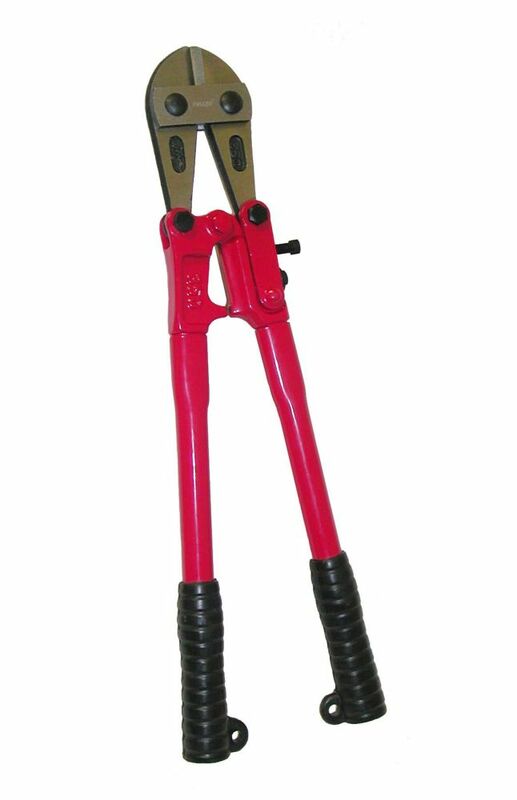 With their high-carbon, heat-treated steel jaws, these 14-inch bolt cutters can easily cut through soft to medium-hard metals up to 1/4-inch thick. Adjustable screws allow for easy alignment of the centre-cutting jaws, while strong tubular handles with non-slip rubber grips, along with compound cutting action, ensures a clean cut every time. Milwaukee Bolt Cutters are engineered for more cuts and longer life. Forged Steel Blades are custom heat treated for maximum durability. Bolt Lock secures the pivot bolts to prevent loosening. Comfort grip handles won't peel or slide off. Lanyard holes are integrated through the handles for easy tethering. OLFA<sup></sup>s extra heavy duty sure grip cutter features a ratchet wheel blade lock to prevent slipping, a rubber grip insert for positive handle control and a rope loop to secure the cutter to your belt or work table. It is the largest knife of its kind available on the market and perfect for cutting through difficult materials such as drywall, roofing, leather, rubber, etc. The H-1 cutter contains 1 blade with 7 segments and uses OLFA<sup></sup> HB replacement blades. 14-inch Bolt Cutters with Non-Slip Rubber Grips With their high-carbon, heat-treated steel jaws, these 14-inch bolt cutters can easily cut through soft to medium-hard metals up to 1/4-inch thick. Adjustable screws allow for easy alignment of the centre-cutting jaws, while strong tubular handles with non-slip rubber grips, along with compound cutting action, ensures a clean cut every time.